When I was younger we had no internet. In fact, during my last couple of years at school there were computer studies, but only the boys were allowed to do the lessons. Us girls had to make do with typing classes or domestic studies, or, and believe it or not as I’m a mum of five, my worst ever lesson, childcare! When I was a teenager we had no mobile phones! I had to go to the red phonebox at the end of the street and pop in my spare cash to speak to my boyfriend. I had my first mobile in 1998 and it was brick like. You couldn’t even text on it, let alone surf the internet! 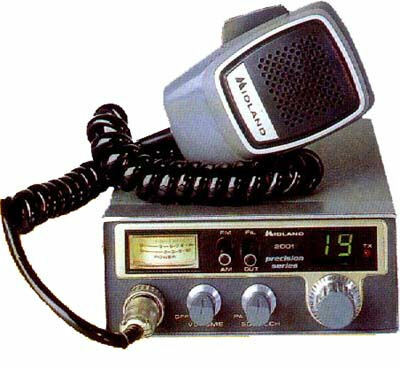 There was, however, a social media that I was totally addicted to and that was my CB radio. They were made for cars and at fifteen I didn’t drive, obviously, so I had to have it in my bedroom fixed up to a car battery, with the ariel slotted into a metal biscuit tin. That was until my brother gave me his Sirio Starduster which was tied to the garden fence. I used to broadband all my CB neighbours with it. Ah, broadband, there’s another term that’s changed, back then it meant I blocked all the other’s signals. I loved my radio so much. I would talk to friends every day after school and we’d arrange eyeballs (meet-ups) all the time. I would take a friend with me and never meet a stranger alone. But very soon nearly everyone ‘online’ was a friend anyway. I could chat away with anyone else with a radio in the surrounding area, I think my signal took me around three to five miles from home. I could get further but it was harder to get a copy (hear them) and the further you got the more lingo you had to learn, including DX codes. 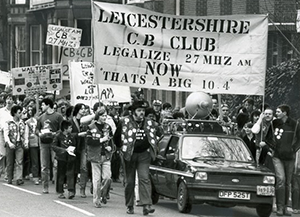 I feel lucky to have been part of the CB radio boom in the early 80s. I made so many friends over my Midland CB radio and Sirio Starduster or DV27 when I didn’t want to upset the neighbours. If there was a party going on the news spread really quickly over the radio and you’d never be short of guests. Clubs were set up where Breakers would meet up each week, Events would take place like the great breaker BBQ which was held on Brecon Point at the Lickey Hills. 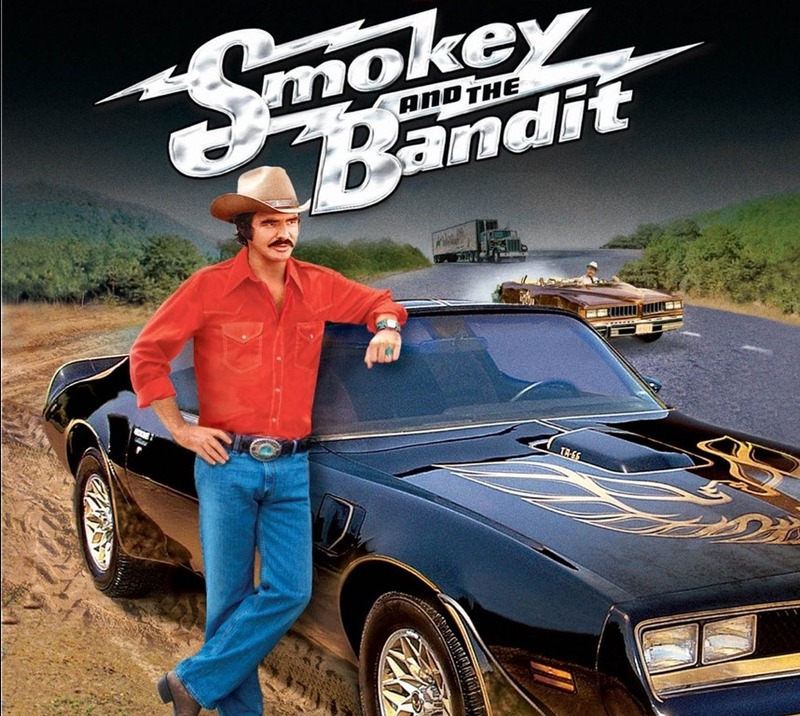 Or we would simply gather and watch CB movies like Convoy or Smokie and the Bandit. My handle, or codename was Sweetpea and some of my best friends were, Little One, Sleeping Beauty, Galaxian, Guiness, Alcoholic, Thumper and Bashful. I also had a lot of family members who used CBs too. Then, one day I met a guy with the handle Honey Boy and he became my boyfriend. We grew out of CB radios, but I ended up being with Honey Boy for a further 14 years. We are not together any more, but I can say I met him through the old fashioned internet. It’s one of little Joe’s favourite songs in the drama The A Word, which I’ve been rambling on about a lot lately. Particularly as it’s Autism Awareness April. I was pretty disappointed in the last episode. Of course, I’ve always taken the stance that it is actually a drama and not a real depiction of life with autism, well not for everybody anyway. I guess I can almost accept the completely unprofessional approach of the Speech and Language Therapist, or Maggie as she prefers to be called. She obviously held a very big grudge against the mum, Alison, as she was bullied by her at school. It makes for good drama, but I am sure no professional would act like that, it’s hard enough for a parent to get the help they need for a child without having to deal with people who are out to make a score against them. Or maybe, the drama wanted to put some blame on the mother? I thought that was an old way of thinking. I remember, many years ago, when I first went to get help for my child. At the first attempt I was told that I was depressed and sent away with a bottle of pills. The second attempt I was told that I needed help with my parenting skills and given a number to ring for a workshop! It was quite typical of one time to believe that autism was ’caused’ by poor parenting. Which is about as ridiculous as saying it is caused by vaccinations. It’s tough when something like this happens, your once happy little bubble can be burst. No-one knows what to expect, what to do, where to get help. Tensions are high and frustrations appear. I remember reading any book I could find, searching the internet for information, going to help groups, trying to find others in my position. I’d do anything to be able to cope with what had landed on my doorstep in the guise of a diagnosis. A lot of the stuff I learnt was relevant, a lot of it wasn’t. I was confused, lost and constantly fighting for the help I needed for my child. Parents are like that you see, we get taken over by the need to get things sorted. I probably came across pushy at some point, wanting answers, needing help. Spending a majority of my time trying to work out what was best for us all. I still had time for both of my children. I did not neglect either of them. There have been times when the autistic child’s behaviour has determined the day. When plans have been abolished, or outings abandoned because one child is simply not in a fit state to cope with it. I’ve always made up for it in another way. Yes, life changes but it doesn’t have to be all bad. Since the drama started there have been many complaints about the inaccuracies portrayed about autism. It would be near impossible to represent all types of autism in one drama, so there is always going to be someone disagreeing. I’m thinking it’s probably the same for the parents and families involved when a child is autistic. Just as every autistic child is different, every family deals with it differently, every family is different. I have to remember that this is just a drama, one story. Not my story or your story, just a story. 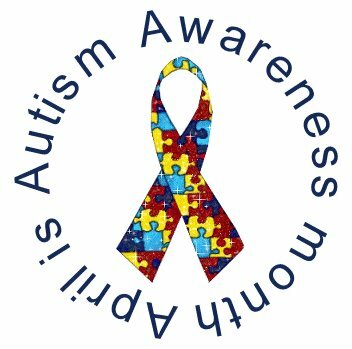 We parents have a lot to deal with on a day to day basis when we have an autistic child, those who do not may not have any idea of what it’s like for us. That’s why awareness is important. As families we need people to understand that we are doing the best we can, especially when times are difficult. Autistic people need to be understood so that they will be more readily accepted into society. I believed it was a good idea to have a tv drama portray a little of what it’s like to have autism in the family. I’m just not happy that it appears to making the premise that an autistic child equals a dysfunctional family. That is not always the case. What do you think? Has the program enlightened you in any way? On 1st March most parents of 10 to 11 year olds where waiting with anticipation for notification of their secondary school choices. I wasn’t. I’d only put down one school and as they are struggling to fill their classrooms I had little doubt that Star would get a place. The thought of Secondary School fills me with dread. I’ve two older children and for very different reasons the transition did not work. Both ended up being home schooled, one of them then went to another specialised school (not special school, but for children with problems) the other was home tutored by a special team of teachers right through to her exams. The whole time was stressful and difficult for all of us. I was a single mum at the time and had to give up a job I loved because I needed to be home all the time. Star has similar problems to my eldest as they are both on the autistic spectrum. The difference is, Star also has physical disabilities. Choosing a secondary school for her was difficult. I checked out all of the schools in the area and none of them seemed suitable. Then I found one that seemed perfect, not only do they have excellent SEN facilities, they cater for disabled children too. The problem was, we were out of their catchment area and would have to put forward a very strong case to get a place as the school was already oversubscribed. I was willing to put the effort in to do this, despite the school being so far away. I would have to figure out a way of getting her to the school with her siblings at another school. I couldn’t rely on school transport because of the cutbacks. I also had to take her thoughts into consideration, and she did not want to go to this school, she wanted to go to the same school as her friends. This stopped me in my tracks, I rarely hear Star mention friends, she claims she doesn’t have any at school. Yet, she wants to go to the same secondary school as these friends. I had a flash back to my other older child who blamed her lack of being able to settle into school because I’d chosen a different one to the one her friends went to. I knew this wasn’t the real reason, but she still blamed me and no mother likes to be pinpointed in any of their child’s failures. So, I picked the other school, the one closer to her siblings school, in walking distance from our home. With hindsight, I probably made a good decision simply because I can no longer drive or have a car. I have visited the new school on several occasions. I’ve attended two open days and made an appointment to speak to the head teacher. I’ve explained in detail all of Star’s problems and asked repeatedly if they would be able to accommodate her needs. They have assured me they can and will. I can only hope that they do. I have to stay positive that this will work for her and try to put the past in the past. Well, apart from learning from my mistakes. 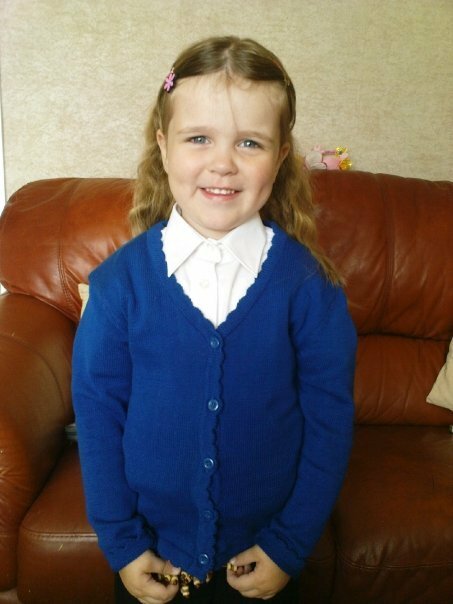 Here is a photo of my little Star on her very first day at school. Time really flies. We knew at the time about the autism and had already been for x-rays on her painful knees but had no idea what that was. So many things have happened since that day. I always believe that if you don’t ask you don’t get, so I’m asking to be considered in the SchoolDays category of the MAD blog awards, please click button to vote. Thank you. What Makes a Blogger Great? I don’t consider myself an expert on blogging but I have been around for a while now and I’d like to share some of the things I’ve learned. When you come into the world of blogging you start to find like minded bloggers in groups and at conventions. New bloggers always ask how they can make their blog big, get loads of visitors and make lots of money. The answers they are given are generally the same, but I’ve been giving this some thought and although I don’t actually disagree with the answers, I would like to expand them a little. Have you ever read a blog and thought that it was ok but not brilliant but then you look at their statistics and think, wow! They are so popular. This is because they network very hard, they work to get noticed but not in a spammy way. They don’t just drop their blog link and every opportunity and sit back and wait for people to come. You will probably find that they are kind, helpful and genuinely nice people. They get others to follow them because they like them as a person, not because their blog is fantastic, different or special, although it very may well be. If you use Social Media you should definitely have a look at Tim’s post which tells you the 7 Dont’s of Social Media Etiquette for Bloggers. Don’t get it wrong, you want it to work for you not against you. Write in Your Own Style, Find Your Voice. Some bloggers are charismatic and will get people stumbling over themselves to follow and read every post written. Not everyone can be like this, however, and trying too hard when you just don’t have ‘it’ can be off putting and people won’t stick around. Not everyone will get ‘your voice’, you might think you are funny or charismatic, others may not. ‘Your voice’ could be a big turn off. So be prepared to work on a voice that suits the kind of audience you want to attract. Write about things you love in a natural way and people will find it more interesting. Keep in check your spelling and grammar and write from your heart. Don’t work on finding ‘your voice,’ it’s already there. Find a Niche or Unique Selling Point for your Blog. This is one I’ve always had problems with. Some people do really well in their niches. In blogging you will find very popular bloggers in cooking, crafting or technology niches for example, but you have to be very good at writing in your niche to claim that part of the market. What if you want to claim a wider audience? Mixing up niches or making them undefined defeats the object of being a niche. Many bloggers will prefer to be in a wider circle of subjects for their blogs A crossover can be fun and interesting. Mummy bloggers may like writing recipe posts for example. I think people waste too much time in finding their niche and should find a circle of wider interests instead. The unique selling point could be a different matter, what makes your blog different from all the other ones out there. You may not think you have anything unique, but we all do somewhere, maybe in the layout of your blog, the way you add your photos, the way you are as person. Don’t sweat too much over it, I bet others will notice it before you do. What Kind of Bloggers Become Great? Here are a few examples of great bloggers that I’ve seen during my time in the blogging world. There is a big blogger that started a trend of writing their blog in someone else’s voice, in this example, the voice of their child. When this blogger started doing this it was a fresh new idea and that’s how she became big. Lots of other bloggers have followed her example but few have grown so big. The thing with doing something different, is that it’s only different for the first to do it! This of course can be a niche and very good one for those with a talent for the art of photography. There are, however, a few more generic blogs that have grown big because of their fabulous photographs. People cannot resist a photo or two. These day though, more and more people are producing great photographs on their blog. In fact, it’s almost expected now. With cameras more accessible and even mobile phones capturing some great shots, it’s practically a sin not to scatter your posts with some lovely photos. If you can’t get the hang of photography you can grab your pics elsewhere, so long as you abide by the rules of copyright. Do not believe you can just grab a photo from anywhere you please. Some of the best and biggest bloggers, and in particular, those who are always at the front when awards are given, have brilliant humour in their blogs. We all like a good laugh, particularly when it’s something we can relate to. There is no ‘but’ with this one, I think humour will always be a hit providing the writer has a real talent for it. The blogging world may get saturated with humour but people will always enjoy it. So, what if you are not incredibly talent in a niche, fantastically humorous, a superb photographer or can’t come up with something totally original? STOP – Think about why you are writing your blog and what do you want from it. A clear focus will help you achieve more. GET READY – Prepare everything, take care with every post. Don’t write rubbish just to get a post out. People will appreciate well thought out posts with spelling and grammar checked. GO- Get yourself ‘out there.’ Use social media, not just for dropping your post links and spamming, but talk to people, make friends, give lots of blog love back to the community. Go to events and meet ups if you can. Let people know who you really are. Final Note: Some people get big by being nasty or opinionated. You’ll get everyone swarming for a say if you write something relevant but controversial. Do a post about something you hate about bloggers and you’ll get tons of page hits and people either agreeing or disagreeing with you. You’ll get shares and retweets as bloggers debate your cheek or your brilliance. But beware, as this type of popularity comes with pitfalls. I’ll let you work out what they might be. When you have such a rubbish start to the year as I have the beginning of a new month is always welcomed. Goodbye rubbish January, hello positive February. That doesn’t mean that things have miraculously got better overnight, it just means I’m approaching the rest of the year with a positive attitude. 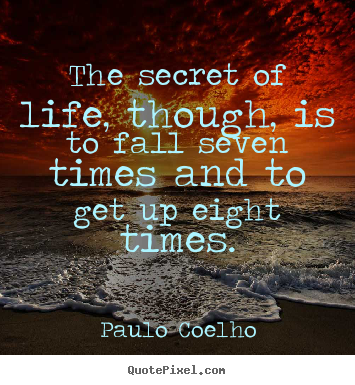 It’s so easy to feel down about all that has happened, the loss of my partners Father, my debilitating illness and then the loss of my car, but things can’t get much worse, they have to start getting better. I’m staying positive in that I will make a really good recovery from this Tranverse Myelitis. I know it can take a long time to heal but I will get there. I’ve read tons of stories now and everyone seems to be different, different levels of the illness and different levels of recovery. I know that I’ve been trying to gauge how long it will take me to recover against other’s stories, but I’ve now realised that it’s just not possible. I will recover in my own time, but I will never stop hoping and doing all I can to get well again. I may even start a little diary so I can see the little changes which can often be missed when you’re looking for big things. I’ll start with the little change I felt last night when my right foot was itching. We are still grieving which is hard because we have not yet laid my partners Dad to rest. It will be soon now though and I know from experience that although it will be a difficult day, it can also be the day that healing begins. I feel so awful for my partner and his mum, it’s hard losing a loved one. I’m also finding it so difficult as he passed away while I was taking him for an appointment, and I can’t forget the whole horrid experience and sitting with him for so long afterwards waiting for his family to arrive. We all have to go sometime but I hope and pray I pass away gently in my sleep, don’t we all! Then there is my car. It was a mobility car that I had for my daughter who has problems walking any distance. I’ve had it for 18 months from new and paid nearly £3,500 towards it. I knew that it wouldn’t be mine in the end but I would get a new replacement after three years. It seemed like a good deal. However, my daughter has now lost her mobility allowance as apparently they have deemed her well again, and I have to give the car back and will be left with nothing! It doesn’t seem like such a good deal now! I’m appealing the decision made about my daughter, it’s obvious they have not read through my re-application and they did not contact any of the seven professionals I provided for back up. I know this because they made the decision the same day they received my 43 page form, with two extra page of hand written informations and several hospital letters. However, I’ve changed my mind about having a car again. At least if I spend £3,500 on a car in the future I will have something to show for it. I hope my readers have had a better start to the year, and I’d like to wish you all a Happy new New Year. There is so much to look forward to, Spring time, Easter (my favourite holiday) and lighter days!